Images of the Hawaiian island sunsets, hula dancers and sandy beaches make it easy to get inspired to plan a romantic vacation to Hawaii. Perfect for beach enthusiasts, Maui is home to white sandy beaches and resorts offering activities ranging from championship golf and luxury spas to an array or water sports and ocean-based activities. In the winter, take a romantic sunset cruise and watch whales jumping in the ocean. Oahu offers vacationers many things to do, from the famous Waikiki to secluded beaches on the north shore. 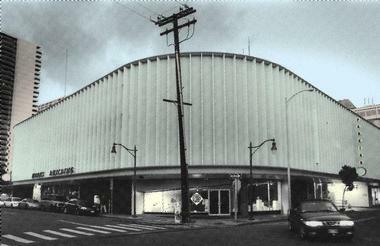 There is also great art, music and cultural attractions in Honolulu. In the summer, the ocean has the best visibility for snorkeling and scuba diving. Browse Maui and Hawaii vacation packages. If you are looking for secluded beaches and friendly atmosphere, visit the island of Molokai. Here are 15 perfect romantic things to do in Hawaii. Hawaii is a great honeymoon vacation destination where couples can try new activities together like getting a scuba diving license. The Big Island has several great resorts, including the Mauna Lani, Hualalai and Mauna Kea, where you can rent snorkels and explore colorful coral reefs. Paddleboarding has really taken off and there are many outfitters offering lessons. 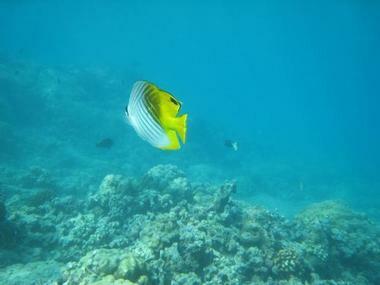 Mauna Lani has some of the best beaches and reefs for snorkeling. The Fairmont Orchid and the Mauna Lani Bay Hotel are the two hotels at the Mauna Lani resort. The main pool at the Fairmont Orchid is surrounded by tropical plants and just steps from the resort's relaxing spa. Halekulani Hotel in Waikiki offers luxury rooms and suites overlooking the ocean. The Royal Hawaiian hotel has rooms with sunset in the historic wing and the newer tower. The St. Regis Kauai offers luxury honeymoon suites, five star service and a spa offering couples massages. Always ask about spa packages to save on your getaway. The ARTS at Marks Garage is a community-focused arts center with new exhibits every month, unique performances, workshops and lectures. Get to know Hawaiian artists as they exhibit their paintings and perform at the theater. Check the Calendar of Events for upcoming exhibits and events. Aloha Festivals date back to 1946 when the event was a week-long cultural celebration of the Hawaiian islands. Today, Aloha Festivals attract over 100,000 visitors who get a chance to know the Hawaiian culture through parades, dance and music. Oahu events include the Opening Ceremony, Waikiki Ho`olaule`a (September 19, 2015) and the spectacular Floral Parade in Waikiki (September 26, 2015). The Royal Court Investiture re-enacts a historic event with a conch shell blower who announces the coming of the court, and participants who wear historically-accurate costumes. 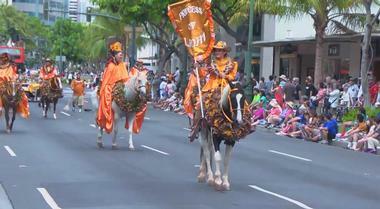 Visitors get to see Hawaiian princesses with their riders on horseback, floats and music bands. During the Floral Parade, the participants wear flower leis and beautiful costumes. For those interested in the Hawaiian culture, the festival is a must-see. Many hotels on Oahu participate in the festival and you can get all the information when you check in. You can also visit the Aloha Festivals web site to plan your visit. The Outrigger Waikiki offers their guests a complimentary vow renewal ceremony Hawaiian-style. The event takes place in front of the Outrigger Reef hotel. The ceremony begins with a welcoming Hawaiian chant by the kahu (priest). The couple is lead to the ocean's edge and honored with a traditional hula and song. The couple is blessed by a sprinkling of sea water before they recite their vows in Hawaiian. At the conclusion of the ceremony, the couple is presented with a commemorative certificate. Couples must sign up at the concierge desk by 3pm the day before. 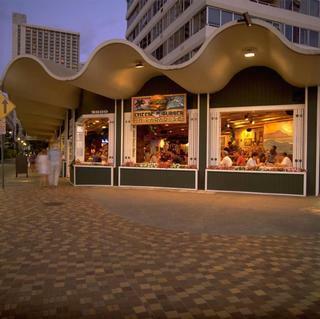 If you walk along Kalakaua Avenue between the Sheraton Moana Surfrider and Outrigger Waikiki, Cheeseburger In Paradise is easy to spot - just follow the sounds of Rock 'N Roll music. Cheeseburger In Paradise is open seven days a week and offers a full service bar serving tropical drinks and ice cold beer. Entrees include burgers, salads, fries, onion rings and sandwiches. Cheeseburger In Paradise dish includes a half pound Natural Angus Beef Patty topped with a special blend of Jack and Cheddar cheeses. Enjoy a ride in a Hawaiian outrigger canoe. Waikiki Beach Services at Outrigger Waikiki offers outrigger canoe rides; open daily from 8:30am to 3:30pm. For more information, call 808-926-9889. Visit the Oahu Hawaiian Canoe Racing Association web site at www.ohcra.com for information about upcoming outrigger canoe races in Hawaii. Scuba diving on Oahu is also a great way to have fun in the water. 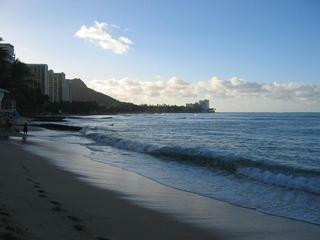 In Waikiki on Oahu you can enjoy a shopping vacation combined with relaxing and scenic views of the Pacific Ocean. Go shopping along the section of Kalakaua Avenue that runs parallel to Waikiki Beach for a selection of beachwear, clothing and souvenirs. DFS Galleria Waikiki offers luxury brand items duty-free. Visit the 90 shops at Hilton Hawaiian Village Resort which sell items ranging from original art to jewelry and clothing. 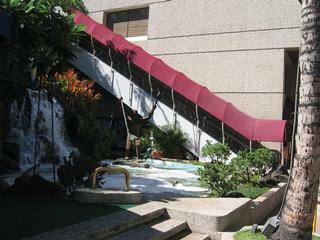 DFS Galleria Waikiki, located in Waikiki behind the Royal Hawaiian hotel, sells a number of luxury brand items duty-free. The shopping center is open daily (808-931-2655). Waikiki is the place to go if you want to enjoy a wide selection of restaurants, shopping and attractions. 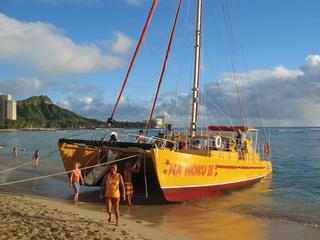 Home to numerous hotels, Waikiki attracts honeymooners as well as families. It's easy to take a surfing lesson, go shopping at the Ala Moana shopping center and visit the aquarium on the same day. The surf is under two feet in the winter, and around three feet in the summer. There are occasional four to six foot swells in the summer. 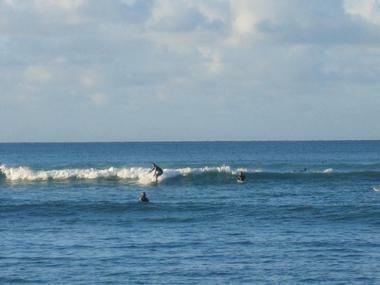 Surfing lessons are available at Aloha Beach Services located next to the Sheraton Moana Surfrider. Resorts are used to receiving romantic requests. 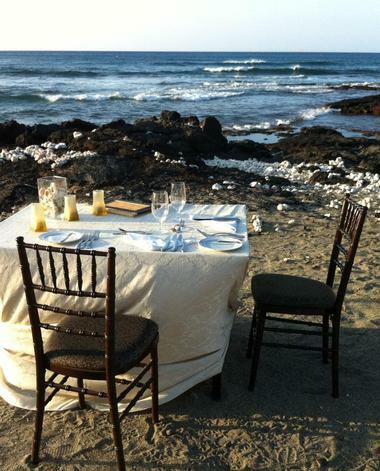 Ask for a dinner under the stars overlooking the Pacific Ocean. This photo was taken at the Mauna Lani Bay Hotel on the Big Island. When choosing the best resort, consider details like spa facilities, golf courses, programs for kids and accommodation options. Couples who want ocean views from their room should call ahead and book early, especially during peak holiday weeks. Beach resorts often offer Hawaii vacation packages and deals that include spa service, rounds of golf or a rental car. 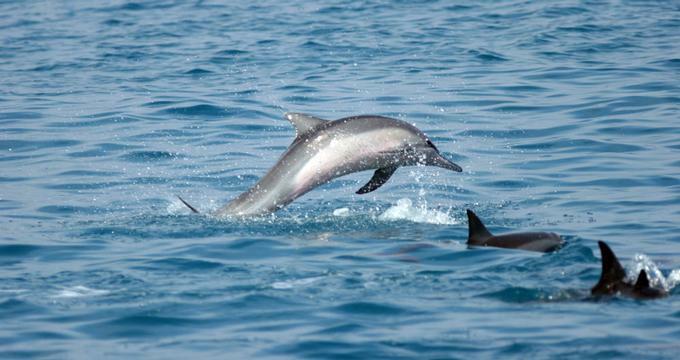 The island is a great getaway for those who like to try an array of different activities while on vacation. Watch a sunrise at 10,000 feet, go snorkeling and play golf, all in one day. You've probably heard of the famous Hana Highway; it's a narrow curvy road with one-lane bridges that connects the secluded town of Hana with the rest of the island. If you have enough time, spend a few nights at the luxurious Travassa Hana which has a fantastic spa, an art gallery, tennis courts, two swimming pools, croquet courts, a three-hole practice golf course and horse stables. The hotel's restaurant serves dishes prepared with locally grown organic ingredients. The food is delicious! If you like a great view from above, drive up to the summit of Haleakala National Park. On a clear day, watch a sunrise at 10,000 feet. Maui is a destination for golfers, offering different course layouts for all levels of play. Book a tee time on the famous Plantation Golf Course, the site of the PGA TOUR Mercedes Championships. Other great places to play golf include Wailea and Makena. And if you want to take golf lessons on your getaway, visit the Wailea Golf Academy. 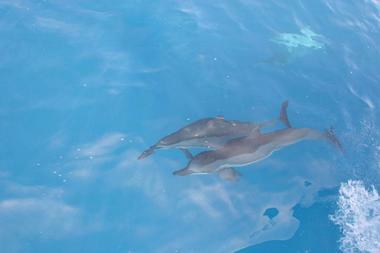 Snorkeling is one of the most popular activities - it's easy to do and can be enjoyed by the whole family. Most hotels offer rental snorkeling gear, but unless it's complimentary for hotel guests, you are better off buying your own mask, snorkel and fins because those rental charges add up. Some great snorkeling spots include Honolua Bay, Malu'aka Beach, Napili Kai and Hamoa Beach. There are several scuba diving shops in the town of Lahaina that will take you on underwater adventures to the Molokini Crater, Turtle Reef and other dive sites. Try Lahaina Divers which has been in operation since 1978. If you are a tennis enthusiast, you are in luck. Major resort areas on Maui have many tennis courts that don't seem to be particularly crowded. Whether you decide to stay at Kapalua, Wailea or in Makena, you can play tennis. At Travaasa Hana, court time is complimentary for hotel guests. During the high season in the winter months, spring break and in the summer, it's a good idea to book popular activities before you get to Maui. Consider reserving your spa treatments, tee times and cruises, but be sure to leave plenty of time for relaxing. Most hotels rent masks and snorkels, but the cost can add up, so consider bringing your own gear unless you are staying at a resort which provides complimentary rentals to resort guests. Most flights land at Kahului, the main airport on Maui. There is also a smaller airport on West Maui, and a commuter airport in Hana. Rental cars are available at Kahului airport and in Kaanapali. Maui has over 60 hotels and 100 condominiums. If you are planning a family vacation to Maui, take a look at Napili Kai Beach Resort which offers condos on the beach and a seasonal program for kids. Most activities are included in the cost of your stay and the atmosphere at the resort is family-friendly. Washer/drier, kitchen and barbeque facilities make it easier to save money while on vacation. The beach at the resort is sandy and great for snorkeling. On the southern part of the island, Makena Beach & Golf Resort offers a secluded beach and two championship golf courses. In Wailea, there are several luxury resorts, shopping and golf. Kapalua Resort is famous for its golf and beaches.